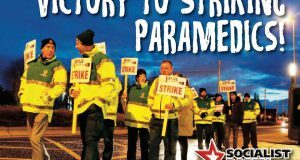 Luas workers, with their 99% vote for strike action and despite the universal hostility of the media, have shown how pay increases can be won. Their action forced the concession of an offer of up to an 18.7% pay rise over three years by Transdev. Unfortunately, the devil in the deal is in the detail which has not been publicised. That detail includes the effective lengthening of a 10 year payscale to a 14 year payscale, a reduction in the starting basic pay and the lengthening of the shifts from nine hours to nine hours and 30 minutes. 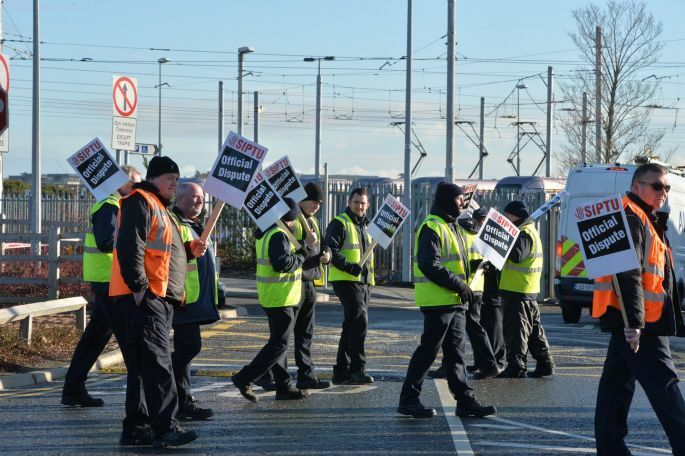 While the Luas drivers would likely accept the pay offer alone, they are understandably unhappy with these conditions which would serve to divide workers in the future. Luas drivers are expected to ballot in the next week on this. As the deal stands, it seems likely to be rejected, unless the offending elements are removed. Much was made in the media of the initial 53% pay claim and even the reduced 27% pay claim – suggesting that it was entirely unreasonable. However, this was a claim for a five year contract. The context is that over the last five years pay increased by only 2.5% despite passenger revenue increasing by 30%, nowhere near keeping up with the skyrocketing of rent and other costs. This dispute is emblematic of the situation facing workers across the economy. Over the course of the crisis, wages have been reduced, as well as jobs being made significantly more flexible and precarious. The corollary of that is the increase of profits for corporations by over 30% since 2008. Now that a recovery has been announced, if not felt, workers are looking to experience it by gaining wage increases. That is seen in the news that Dublin Bus and Iarnrod Eireann drivers are now going to seek a similar pay increase. With Transdev’s response, we saw how viciously corporations can respond to workers organising. While their position in talks was to refuse to countenance pay increases higher than the rate of inflation, in public they suggested if the workers were to ‘moderate’ their demands, they would be willing to compromise. SIPTU then did reduce the pay claim significantly to 27% and Transdev clearly smelt weakness. They reacted to this reduction by refusing to talk to the Luas drivers who make up the bulk of the Luas workforce and prepared to bring in strikebreaking private buses. 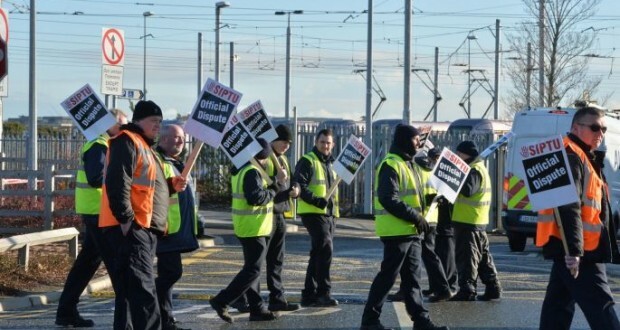 Luas workers stood firm and therefore forced Transdev to withdraw the threat of buses and to negotiate. IBEC, the big business representative organisation, rowed in behind Transdev, correctly seeing this dispute as strategically important for big business. They don’t want the floodgates to open for other workers demanding pay increases, eating into the increases in profits won over the course of the crisis. 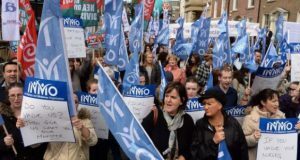 They criticised the strike, saying that workers should seek only “moderate” pay increases – declining to mention the fact that they opposed the extremely “moderate” increase in the minimum wage of 50 cent!